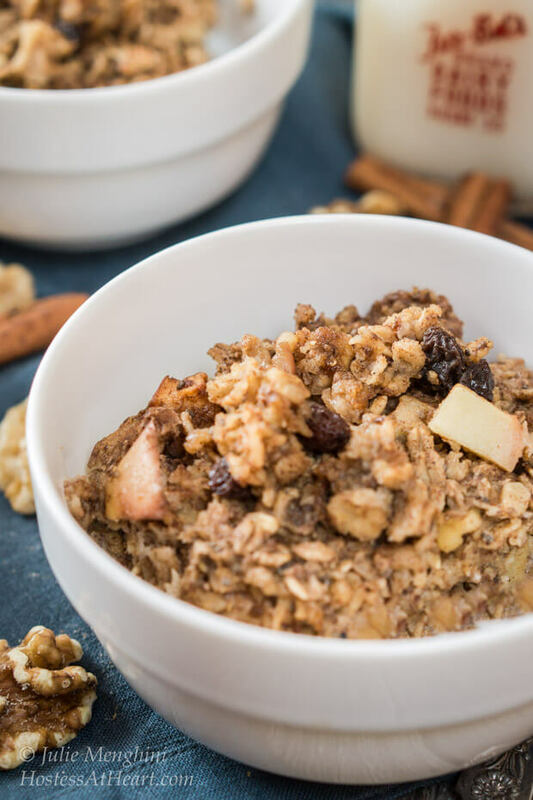 Cinnamon Apple Baked Oatmeal is a easy to make breakfast that is healthy and delicious. Best of all, it will keep you feeling full all morning long. For so many years, I loved the holidays because I allowed myself to eat anything and everything in site. There was food everywhere I turned, including at home. I used my love of cooking to keep the goodies coming! I got myself in such a pickle when just cutting back didn’t peel the weight off anymore. 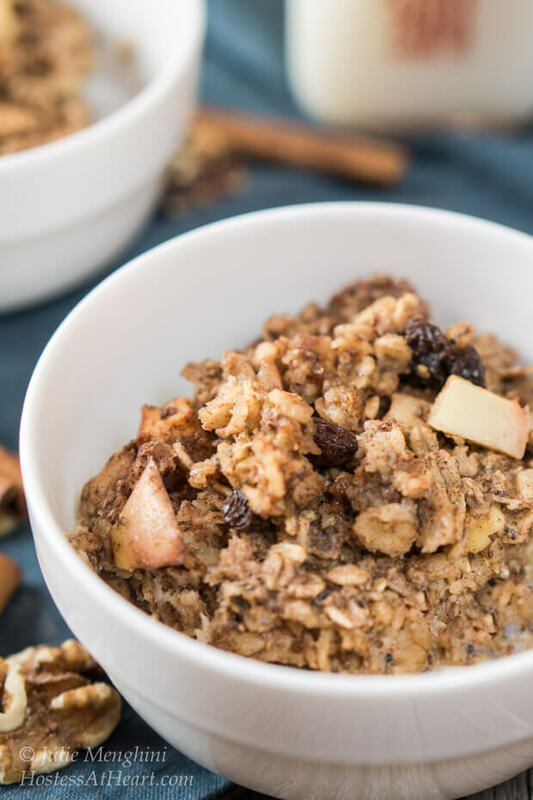 Dishes like this Cinnamon Apple Baked Oatmeal helps keep me on track all week long. Nothing has changed regarding the availability of these goodies. What has changed is my approach to them. I watch my weight very closely leading up to and between the holidays. Proper nutrition is so important. 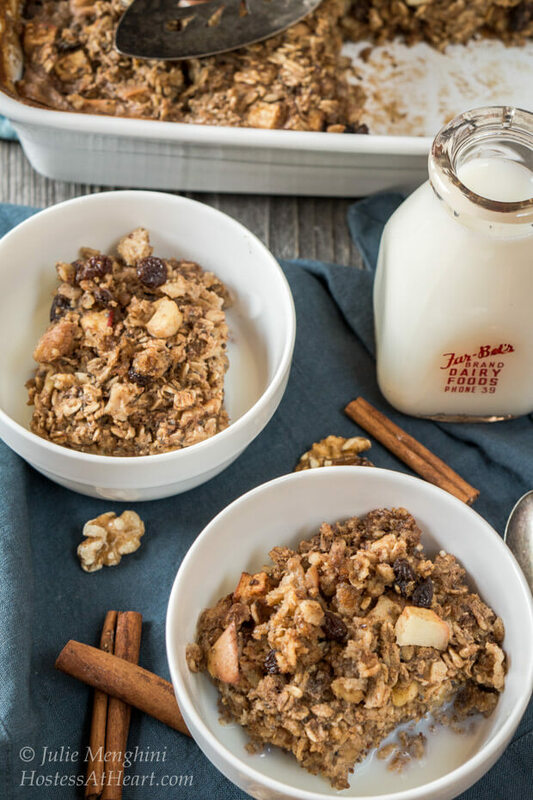 Cinnamon Apple Baked Oatmeal starts my day out on the right foot. Not long ago, I posted a recipe for Berry Nut Oatmeal. I have to tell you that I loved that dish so much that I couldn’t wait to make another version. Even then I knew that I wanted to create a cinnamon apple version. I amped up the ingredients including good for you ground flax and chia seeds. 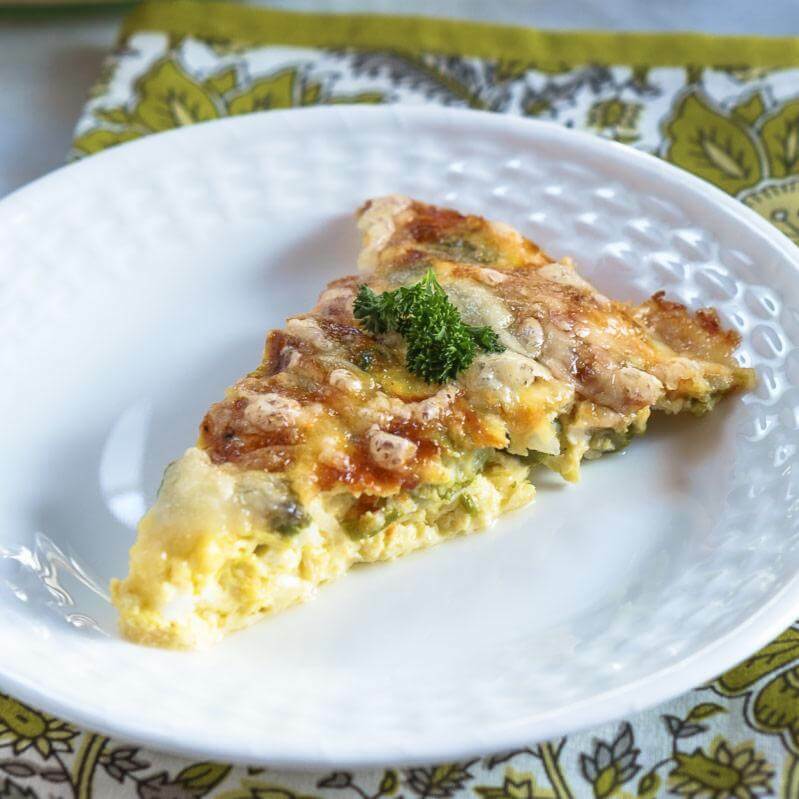 This is such a wholesome dish that will keep you satisfied all morning long. When you aren’t hungry, you are more apt to avoid temptation. 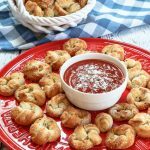 This recipe is also very versatile. You can customize it to your own tastes. What you don’t need is processed white sugar and tons of fat. Two tablespoons of butter for 8 servings. What????? The consistency of this dish is like bread pudding. 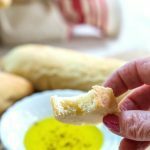 It is thick and flavorful without being too dense. It reheats perfectly in the microwave. I added just a drizzle of almond milk after I warmed it up. 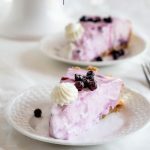 You could also freeze this in individual servings for a grab and go breakfast or a comforting breakfast on a cool morning. 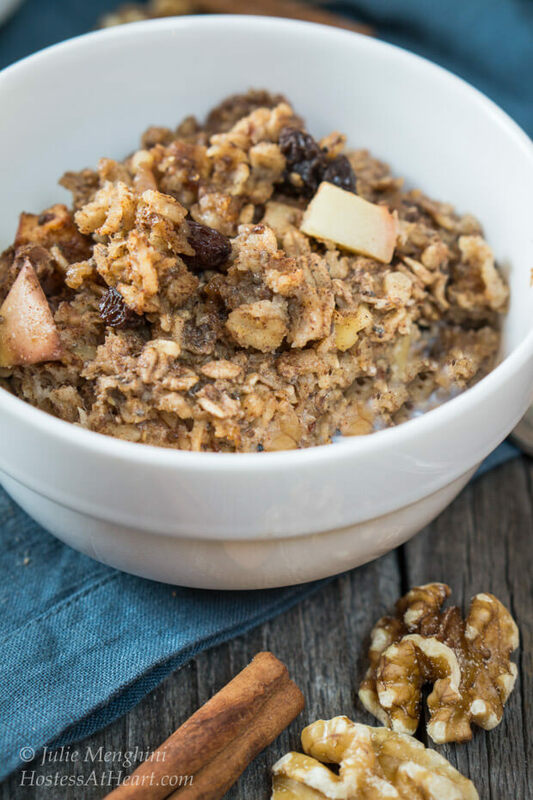 Cinnamon Apple Baked Oatmeal is a easy to make breakfast that's healthy and delicious. Best of all, it will keep you feeling full all morning long. Preheat oven to 375°F. Put butter in the bottom of a 7-1/2×11 or similar sized deep-sided baking dish. Place in the oven until melted, about 5 minutes. While butter melts, combine oats, baking powder, cinnamon, flax seed, and chia seed. Remove the butter from the oven and pour over oat mixture. Stir until coated. Whisk egg, maple syrup, and vanilla together. Pour over the oat mixture and stir to combine. Stir in diced apple, walnuts and raisins. Transfer ingredients back to the baking dish. Gently pour in milk. Bake 35 to 45 minutes until top is browned and edges bubble. Allow the oatmeal to rest 5 minutes. 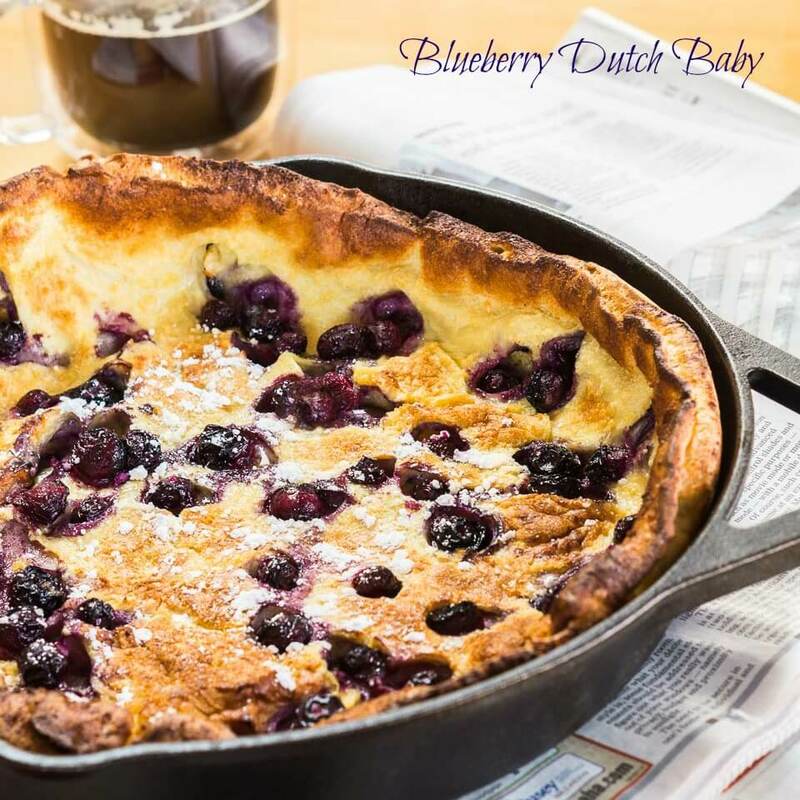 Top with yogurt or warmed milk if desired. Refrigerate leftovers. They say breakfast is the most important meal of the day. They aren’t lying. If you start off on the right foot it is so much easier to continue that momentum or as I say, not “blowing it”. If you do, a breakfast like this the next morning helps you get back on track. You don’t have to wait until next Monday to make you next commitment to taking care of yourself. Here are a few more oatmeal recipes that we love! Wow this sounds amazing!! 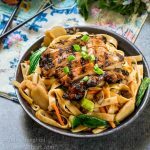 I can’t wait to try this recipe 🙂 Thanks for sharing!! I’m with Petra! There are so many things that I see that just look wonderful and that I want to make immediately, and then I never get to it. Thank you for stopping! I will. Thank you for the invitation! Thank you! So happy that you stopped. Enjoy your day! Thank you for the visit! I did love this dish! This looks so delicious! I intend to make it for my cinnamon mad friend. I like the idea you can freeze in individual portions! I hope you enjoy it as much as I did! I will be making this one regularly. Let me know what you think? Thanks for visiting! I tried to comment on your other breakfast post Julie, and for some reason there was no comment box on that post. Thanks for letting me know loretta. For some reason i have to turn each one on. 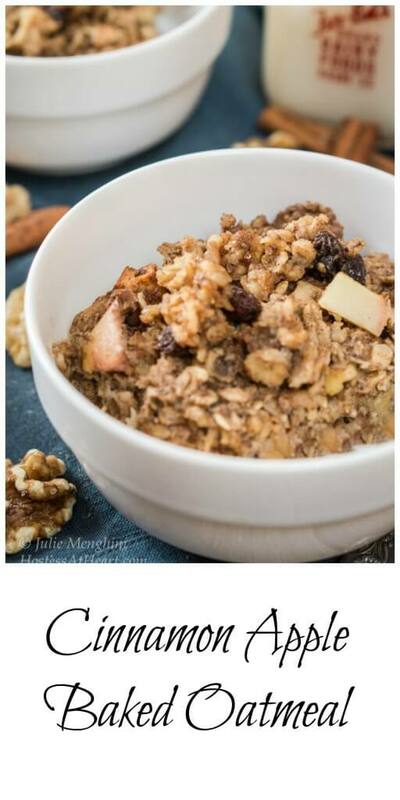 Your baked oatmeal looks so delicious, easy to make, and healthy. Cinnamon and apples are just perfect for fall! I can just imagine myself enjoying this for breakfast! Thanks for sharing this at FF, Julie! Thank you Andrea! It was so good. I enjoyed looking forward to it each morning. Have a great weekend! yum this looks so good! Gotta love when something that’s good for you tastes so yummy and filling too! I totally agree Michelle! Thanks for commenting! Thank you for such sweet comments Dawn! This looks delicious, Julie. And this is coming from a “traditional oatmeal” hater. I think I could gobble this up in no time. 🙂 Love the addition of spiced apples! I really enjoyed this! Thanks Nancy. WOW… just…. WOW. 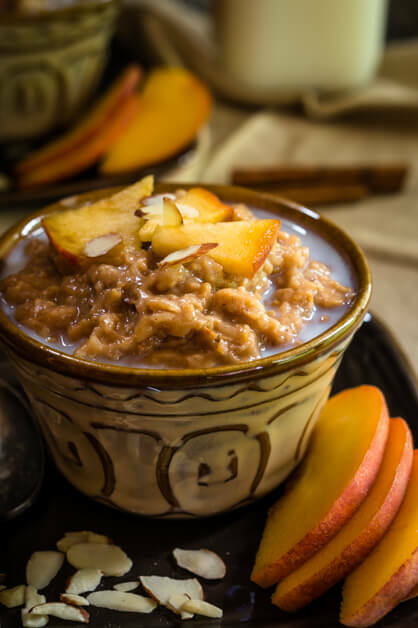 This is an amazing idea, baking oatmeal- a breakfast of champions, and so perfect for this chill fall weather. I loveeee it- this with a nice cup of coffee is where it’s at! Happy Fiesta Friday Julie! Mine is all gone. I am going to make some more too! I loved having my own nice piece every morning! Thanks Nance! Let me know what you think. Thanks Chitra. I love baked oatmeal, and it makes enough to keep me happy all week long. You aren’t a kidding. All of that research is hard on the hips! One day at a time girlfriend. It was sure good this morning. It’s cold here so it was good and comforting. Thanks for visiting! I appreciate approaching oatmeal in a tastier way. Thank you for sharing. Thank you for visiting! I love oatmeal baked like this. It’s delicious! I try to sneak in fiber and super foods where ever I can. I really enjoy this dish. I can make breakfast for a week at a time. Thanks for stopping Loretta! It is 5 degrees here! We got our first snow. I am whining. Oh my, that looks delicious!!! This looks wonderful. My husband, David would love this. He loves cinnamon! Thanks for sharing!! Thank you for visiting Debbie! My hubby isn’t a raisin fan, so it’s all mine :). It does keep the entire week so I can have one piece each morning. You could use Cherries or any dried fruit or just leave them out.